In a 61-page federal indictment detailing 36 counts, prosecutors with the U.S. attorney's office in the Central District of California described Avenatti's alleged decade-long scheme to embezzle and hide millions of dollars from clients. If found guilty, the charges could land him more than 300 years in federal prison. "The money was used to fuel a lavish lifestyle that had no limits including making mortgage payments on a multi-million dollar home in Laguna Beach," Acting Special Agent in Charge of IRS Criminal Investigation Ryan Korner said during a press conference Thursday. 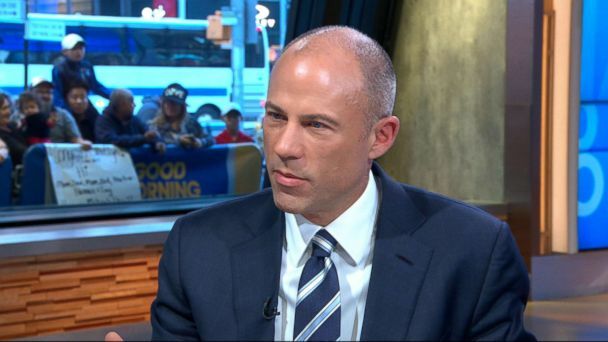 Korner said federal agents seized Avenatti's $5 million private jet this week. Prosecutors in the Central District targeted Avenatti with wire and bank fraud charges last month in a scheme that included allegations he stole funds from a client to pay off his own expenses. In New York, Avenatti faces two counts of extortion for his alleged role in what prosecutors called "an old-fashioned shakedown" of Nike. "Mr. Avenatti received money on behalf of clients into client trust accounts, misappropriated the money and lied to the clients about receiving the money," U.S. Attorney Nick Hanna explained . Avenatti allegedly told Johnson that the money was not yet available and that he was "advancing" Johnson money to pay rent. Yet the entire time, prosecutors say, Avenatti had the $4 million and was using it for personal and business expenses. "Mr. Johnson is the victim of an appalling fraud perpetrated by the one person who owned him loyalty and honest most of all: his own lawyer," Johnson's attorney Josh Robbins writes to ABC News. "His actions have left Mr. Johnson destitute."